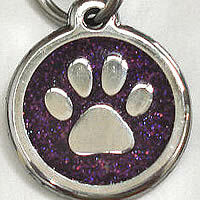 The stainless steel Glitter Tags by Red Dingo sparkle but are durable and still guaranteed for life. And first class shipping from Red Dingo is free. 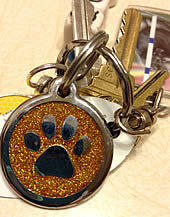 Scroll down to select your size of Glitter Tag. Remember, the more information on a tag, the smaller the letters. Tags may not be exchanged or returned.